Lenses can protect eyes from radiation, water loss and even include an integral LED and Graphene-coated contact lenses could help usher in an era of wearable eye electronics that monitor health while offering eyes protection from electromagnetic radiation and moisture loss. Bionic technologies that furnish our eyes with night vision, augmented reality or health monitoring capabilities may sound like science fiction. 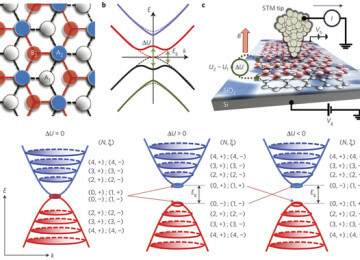 But these are some of the real applications under development for smart graphene contact lenses thanks to miniaturisation and biocompatibility of electronic devices. However, such devices will likely communicate and be powered by radio waves, posing increased eye exposure to electromagnetic radiation. ‘The electromagnetic shielding function for contact lenses is of great importance because it is known that electromagnetic waves are a potential cause of eye diseases including cataracts,’ says Byung Hee Hong, who produced the graphene-coated contact lenses at Seoul National University in South Korea. Wearing contact lenses can also lead to painful conditions such as dry eye syndrome, making moisture retention a desirable property. 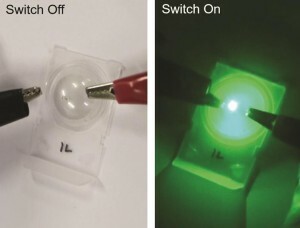 Since graphene is transparent and flexible with unique electrical and magnetic properties, as well as being chemically and biologically inert, Hong’s team coated ordinary contact lenses with graphene to find out if it could offer eye protection. 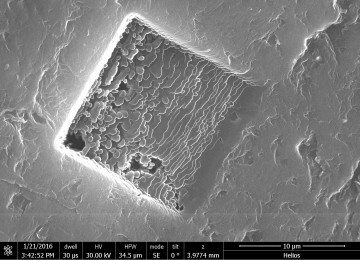 Contact lenses with and without the graphene coating were placed over samples of raw egg white, which has a composition similar to the inner eye. 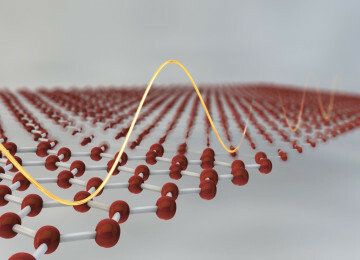 When zapped in a microwave for 50 seconds at 120W to mimic the wavelengths of 4G and Bluetooth, the egg under the ordinary contact lens got cooked while the graphene lens minimized the damage by absorbing and dissipating the electromagnetic energy. 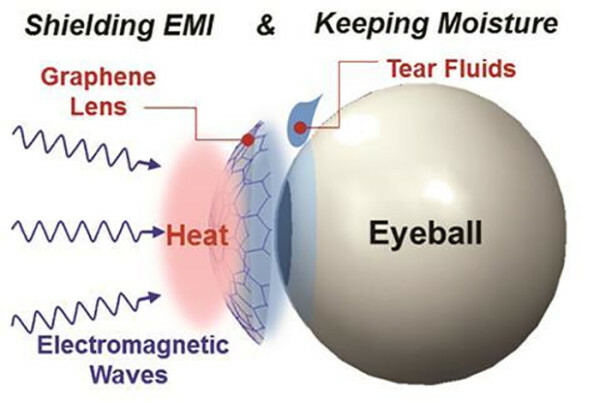 ’We didn’t imagine that the egg whites under a graphene-coated contact lens would survive the strong electromagnetic radiation from a microwave oven,’ explains Hong. 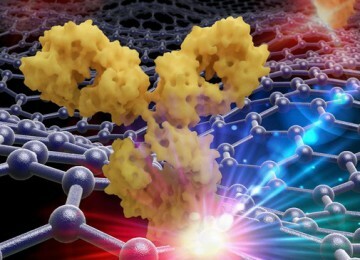 ‘It was truly surprising that an atom-thick layer can make such dramatic difference.’ The team also monitored water loss from a vial capped with a graphene lens and noted a 30% drop. A final experiment saw the team incorporate a LED into a lens.